Jackie’s got a bit of hero worship going on, it would seem. I’m already screaming inside TELL HER! It will be an amazeawesomtastic moment! 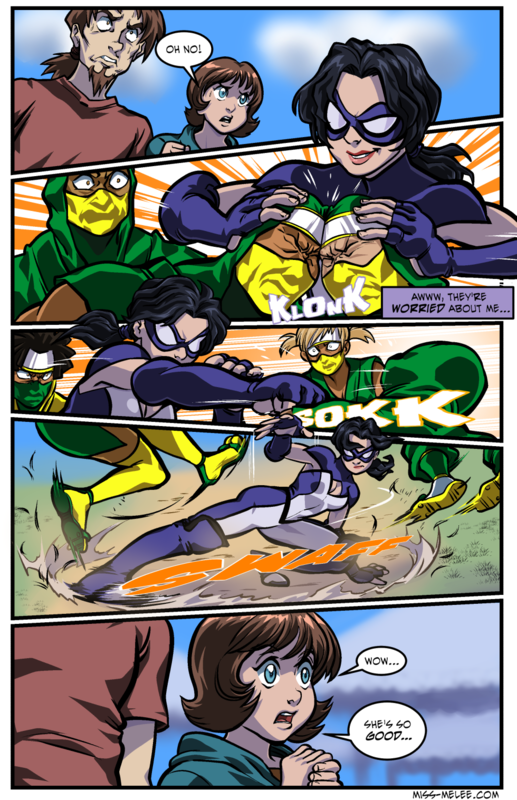 So does Miss Melee have super-powers (strength and speed)? Because these guys look totally incompetent. You’d think that they’d at least know capoeira.